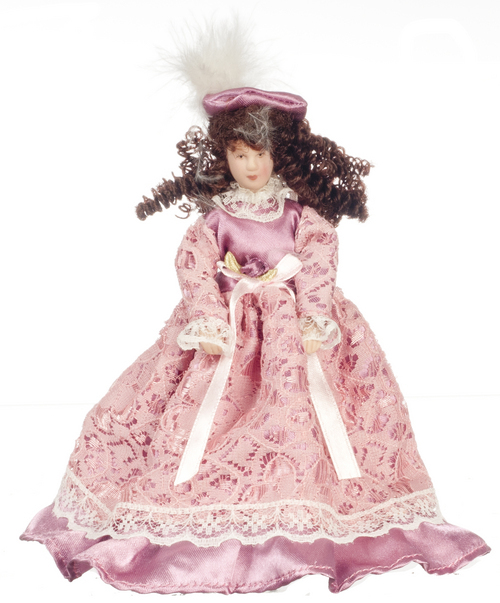 This miniature dollhouse doll is a Victorian Porcelain Woman Doll in 1:12 scale. 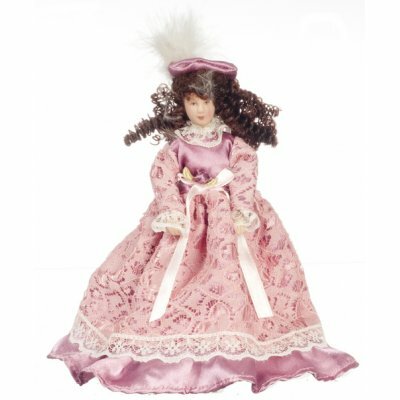 The Victorian Porcelain Woman Doll, she is posable, but her head does NOT turn, shoulders, legs do move but NOT elbows, knees and wrists. The Victorian Porcelain Woman Dollhouse Doll measures 6.625"H x 2.375"W x 1.5"D, including her hat. 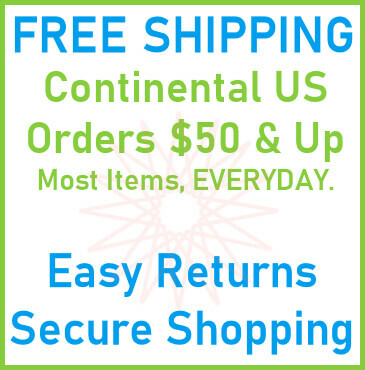 This Victorian Porcelain Woman Doll is supplied by Aztec Miniatures, which generally ships within 8 business day(s) of you placing your order .